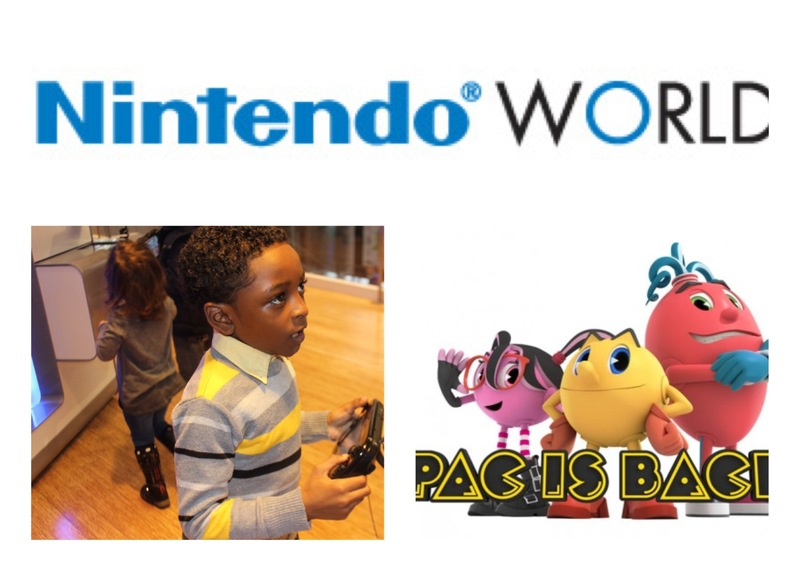 Today’s video is featuring a special guest, vlogger SamoreLoveTV, who covered an event for me at Nintendo World Store in NYC to preview the latest games for Nintendo Wii and DS…PAC-MAN and the Ghostly Adventures 2, Tenkai Knights: Brave Battle & Power Rangers Super Megaforce. Join Samore and her son DJ as they share their experience, haul & vlog!You can find SamoreLoveTV here! The gang is back! Following the colorful characters and world of the PAC-MAN and the Ghostly Adventures animated series, PAC-MAN and the Ghostly Adventures 2 will feature PAC-MAN, Spiral and Cylindria in an all-new storyline as they defend PacWorld from the ghoulish army of Lord Betrayus. The game will be available on October 14, 2014 for PlayStation 3, Xbox 360, Nintendo Wii U, Nintendo 3DS. The Power Rangers Super Megaforce must defeat a massive alien Armada sent to conquer earth in this action-packed 3DS game. With the help of their supernatural guardian, Gosei, the Power Rangers are given special morphers and keys that allow them to morph into Super Megaforce Rangers. Using these keys, they also have the amazing new ability to morph into any team of Legendary Rangers from the past, gaining access to their incredible powers, weapons, Zords and Megazords. The game will be available on October 28, 2014 for Nintendo 3DS. Harness the incredible power of Tenkai Energy to shape shift into one of the legendary Tenkai Knights! Saving the world is a tremendous task only for the brave of heart, and players will be able to enlist the help of a friend for co-op gameplay to complete missions and champion the world of Quarton together. Hack and slash through enemies with punishing melee combos or pick them off from a distance with long-ranged attacks in 2D robotic action. The game is available now for Nintendo 3DS. More info on the new Nintendo games from BandiNamco here.